My name is David Turgeon and I am a member of the He-Man and the Masters of the Universe mailing list. Through a little research I have learned that you were at one time a scriptwriter for this popular 80's cartoon. 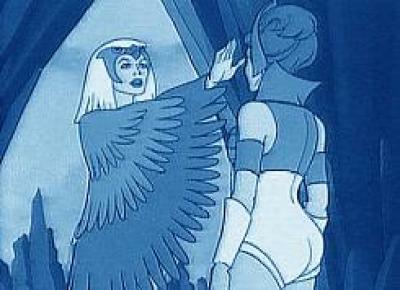 If you don't mind, I would like to ask you a few questions about your experiences with Filmation. Ye gods! He-Man! It's been a long time since I thought about that show! I think I was still in college myself when I wrote for it. It's been 15 years, so I'll try and remember what I can. 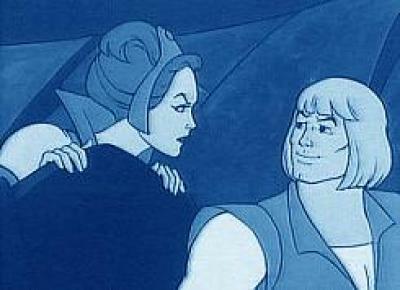 Some of your standout episodes included "Teela's Quest" and "Prince Adam No More." Do you have any thoughts or comments about those classic shows? "Teela's Quest" and "Prince Adam No More" - I'm a big Stan Lee/Jack Kirby fan and I liked how their Marvel Comics stories made superheroes more than just cardboard cut-outs. They were big influences on my early cartoon work. The title "Prince Adam No More" is, of course, a direct rip from "Spider-Man No More," "The Hulk No More," etc., all those portentous titles Stan and Jack used to use every other month, it seems. Besides, in classical myth, any interesting hero goes through moments of self-doubt and change, and I wanted to weave that in somehow. That's where those two stories came from. Who were some of your co-writers and how did you all work together with your producers? All the producers wanted was the series to get done on time and on budget. They didn't care what the characters did as long as they had enough stock animation to cover the action. Any interesting stories came out of the writers themselves. Some of the better writers Tom Ruegger, Michael Reaves, and that Babylon 5 guy whose name I can never spell correctly. J. Michael, you know the guy. Everyone else blew chunks. I don't mean to be nasty but they did. If I had to pick one, it would be the Teela episode. Evil-Lyn. At the time I was dating someone who looked just like her. Don't ask. What are your thoughts on She-Ra? I never watched it sorry. 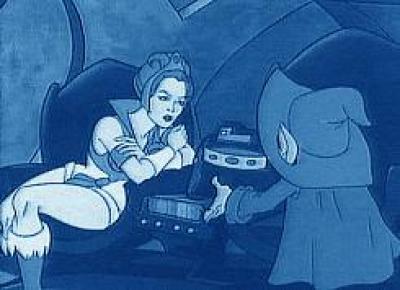 Do you have any comments on Filmation's upper level management? Dolts, fools, idiots, drunks, child molesters, grave robbers, and lousy writers. Also cheap, cheap, cheap! I've got stories (about them) but they would get me sued. Besides, why should I give them to you for free when I can write a tell-all and make big bucks? How do you respond to claims made by Peggy Charren that He-Man was nothing more than a 1/2 hour toy commercial? He-Man was a 1/2 hour toy commercial. I hate Peggy Charren but she was right. Selling the product was the sole reason for doing that show. Though occasionally we could slip in a good story and made the characters more interesting for a strictly non-kid audience. What do you think about the people who wanted He-Man off the air due to its "Satanic influence"? People who think telepathy (which is about as far as the cartoon went) is satanic are so far gone they'll believe anything. It's lucky those whoo-hoos were picking on the tame stuff and never caught onto any of the REAL messages we put into the show. You know those quick morals at the end of the show? In at least 5 of them you can hear Orko chanting "Satan is lord!" under the soundtrack. Of course I wont tell you which five...Thanks for your letter. I hope I was in some way enlightening.